Asymmetric Betting is an investment is a strategy with the objective of an asymmetric bet, which is an asymmetric trade with an asymmetric payoff. Asymmetric be is the probability or outcome of a trade has more profit than loss or risk taken to achieve the profit. Asymmetric bet and betting involve the upside potential is greater than the downside loss. 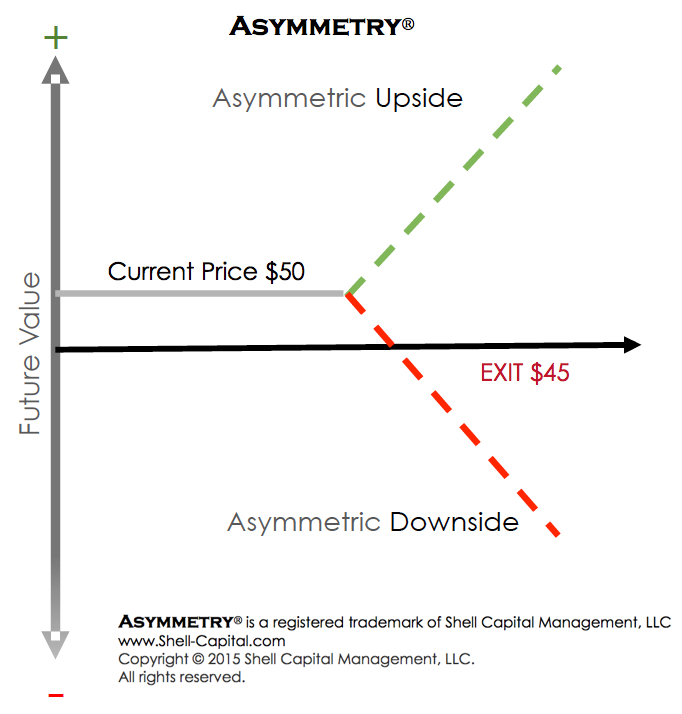 Asymmetry of a trade is an asymmetric bet when the downside is limited, but the upside is unlimited. As you can see in the graph above, asymmetry is desired over symmetry: (symmetry is when your risk and reward is balanced, so the outcome for profit is the same as the outcome for loss. Asymmetric betting and Asymmetry is when your risk and reward is skewed so the potential for reward is greater than the risk taken.